The Lenzing Group clearly improved upon all relevant performance and balance sheet indicators compared to the first half of 2014. 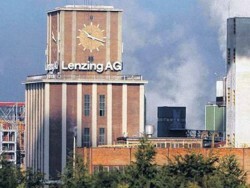 Within the context of the deconsolidation process launched in 2013 and the comprehensive restructuring of its technical operations already announced in 2014, Lenzing AG is continuing its strategy of more strongly focusing on its core business of producing man-made cellulose fibers, and is selling three business units of Lenzing Technik. The first quarter of 2015 for the Lenzing Group was characterized by satisfactory volume demand against the backdrop of still unsatisfactory selling prices. Lenzing AG, global market leader in the production of man-made cellulose fibers, has successfully issued and placed German Private Placement (Schuldschein) to the amount of EUR 150 mn (senior debt, unsecured) on the capital market. This year's Ordinary Shareholders' Meeting of Lenzing AG resolved to distribute a dividend of EUR 1.00 per share for the 2014 financial year, compared to EUR 1.75 per share for the previous year. The dividend payment is scheduled to take place on April 29, 2015, with April 27, 2015 set as the ex-dividend day. The Lenzing Group has sold of its fully owned German subsidiary Dolan GmbH, Kelheim and its 91.1% stake in European Carbon Fiber GmbH, Kelheim to WHEB Partners’ Growth Fund 2 of England and Jan Verdenhalven. Lenzing Aktiengesellschaft Invitation to the 71stOrdinary Shareholders' Meeting of the Company to be held on Wednesday, April 22, 2015 at 10:30 a.m. (CEST) in the Kulturzentrum Lenzing, Johann-Böhm-Straße 1, 4860 Lenzing. Ongoing strong demand enabled Lenzing to achieve a new record sales volume of 960,000 tons (+ 8%) in the 2014 financial year against the backdrop of a further drop in fiber selling prices and a very challenging market environment once again. The Supervisory Board of Lenzing AG appointed Stefan Doboczky (47) effective June 1st 2015 as the new Chairman of the Management Board (CEO) of Lenzing AG. According to preliminary figures, consolidated sales of the Lenzing Group declined slightly to EUR 1.86 bn in 2014, down from the prior-year level of EUR 1.91 bn in 2013. This drop can be attributed to the continuing downward pressure on fiber prices as a consequence of the global surplus capacities of viscose fiber producers. The Lenzing Group is resolutely and systematically counteracting the ongoing difficult market conditions in the global fiber industry on the basis of its cost optimization program as it reported on the occasion of publishing its business results for the first three quarters of 2014. The Lenzing Group is working to counteract the ongoing difficult market environment prevailing in the fiber industry. Sales and earnings declined in the first nine months of 2014 compared to the prior-year performance, but cost savings are having a positive impact. This led to a slight earnings improvement in the third quarter of 2014, the first time in about two years. Further cost reductions are planned in light of the fact that no significant impetus is expected from the market. Friedrich Weninger, Chief Operating Officer (COO) of Lenzing AG, will not extend his Management Board contract which will expire on December 31, 2014. Weninger, who has been working for the company for more than 25 years and recently managed the company's global production facilities with its more than 6,000 employees, decided for personal reasons that he would not seek a contract extension as a Member of the Management Board. However, he will continue to serve as a consultant for the Lenzing Group in the coming years and put his wealth of experience at the disposal of the company. The company Lenzing AG is declaring the following financial reports below. The business development of the Lenzing Group in the first half of 2014 was impacted by the ongoing difficult market conditions featuring considerably lower average fiber selling prices. The cost reduction program excelLENZ successfully initiated in 2013 was only able to partially offset the decline in sales and earnings in the first six months of 2014. The Lenzing Group has successfully initiated production at its new TENCEL® jumbo production facility, the largest in the world, at the Lenzing site in Upper Austria. 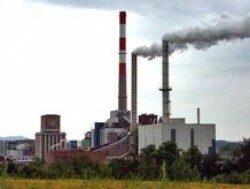 The plant is in the midst of a stable ramp-up phase. The Austrian fiber producer will present its results for the third quarter on Thursday. Operating results are expected to fall by 31%. Successful start of the fifth line at Indonesian subsidiary SPV. PT. 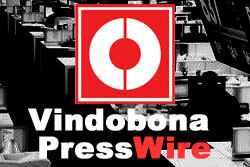 South Pacific Viscose (SPV) is now the world’s largest viscose fiber plant.